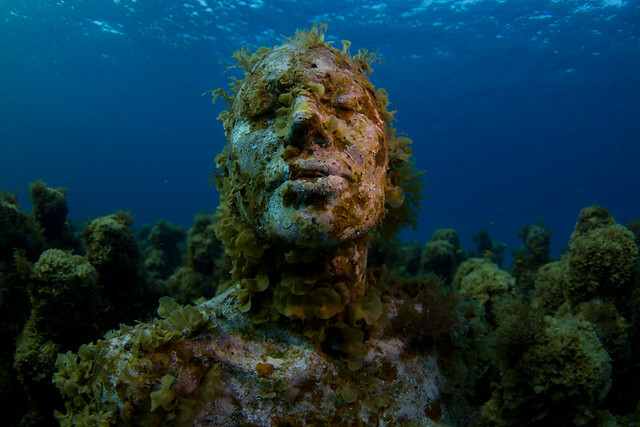 Environmental artist Jason deCaires Taylor installs his sculptures underwater, a peculiar process that has boosted him into high demand after he started it in 2006. 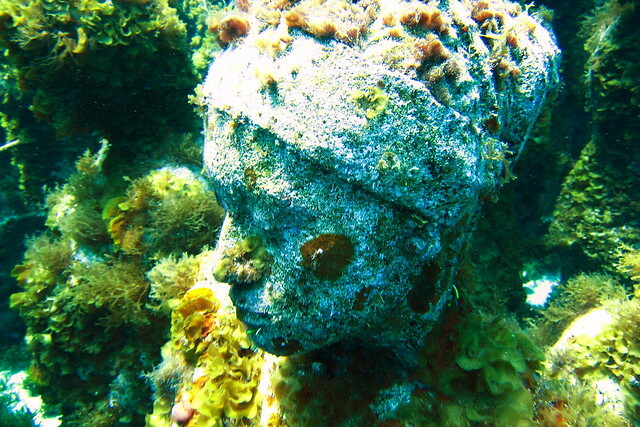 Upcoming submerged-art commissions will add thousands more to his existing 500-piece collection. 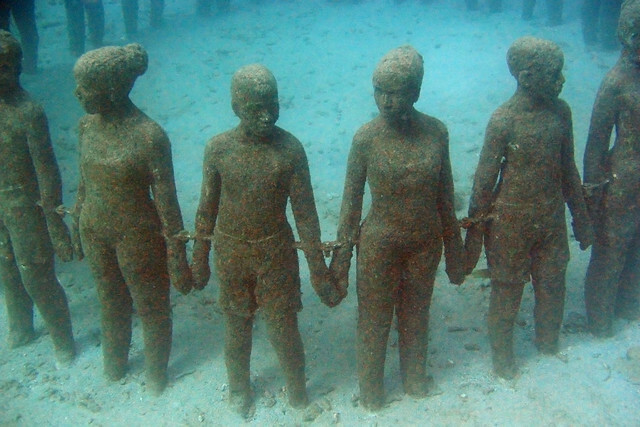 Mostly located in Moilinere Bay, Grenada, and off the coast of Isla Mujeres, Mexico, his sunken sculptures transform from figures and objects into artificial reefs where sea life thrives. 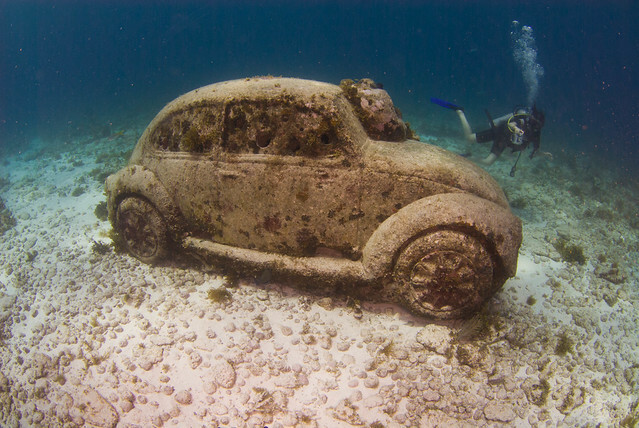 This natural interactivity is a deliberate aspect of Taylor’s work that he hopes will raise marine-conservancy awareness. Photos from b.campbell65, kozyndan, Sun Cat, and Jay Berger.